Rajasthan 3rd Grade Teacher 2nd Level Result 2012 is declaring Today in 1-3 Hours. There are almost 2 lacs applicants who have attended this written test for 3rd grade teacher employment and looking for very dreadfully for announcement of results by authorities. So we believe and give advice you that you must keep patience and try refreshing site at regular interval it might respond at any time as soon as traffic goes down. So we desire you all the best your results and if you have any question related to this then don’t disregard to share it with us through comment box below. 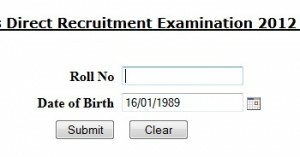 Hello Friends post your Exam Results Query in the box Below.